Corpora in Si(gh)te – at the Collegium Hungaricum Berlin, as an event of the Transmediale Festival in Berlin, Germany, February – March 2009. Corpora.prospect – part of the Mission G OpenSpace exhibition at the NTT InterCommunication Center in Tokyo, Japan, between March 2009 and 28th February 2010. 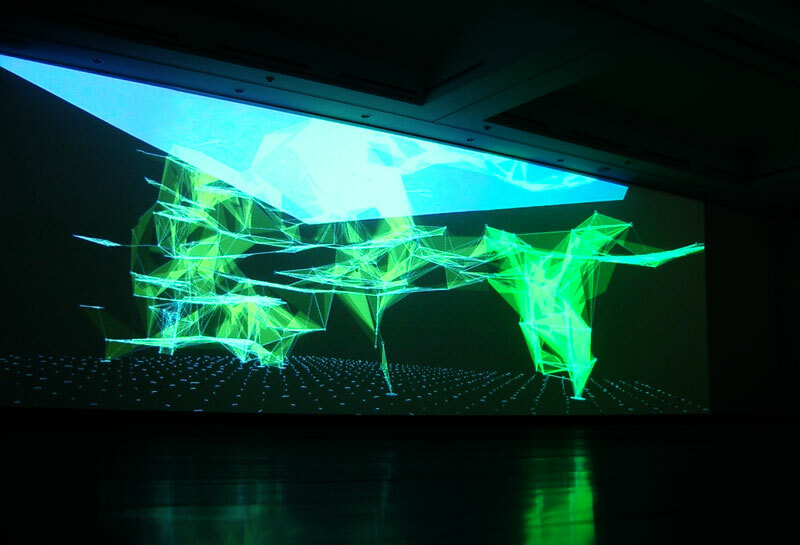 Corpora in Si(gh)te – received an Honorary Mention in the Hybrid Art category at the Ars Electronica Festival and displayed at the OK Center in Linz, Austria, between September and October 2009. Corpora in Si(gh)te – at the Laboratorio Arte Alameda in Mexico City, Mexico, at the (IN) POSICIÓN DINÁMICA event, as part of Ars Electronica en México at the Festival de México, between 17th March and 11th May 2010. Corpora – featured at the Lexus Hybrid Art event in Moscow, Russia, between 1st and 4th April, 2010.